Layout design and structuring for numerous confined materials like letterhead, brochures, advert, product manual, business cards, newsletters, flyers and much more! Making documents look inviting, professional. Designing and conceptualizing diverse business, marketing and technical documents. Cover designing, Illustration, and editing for bounded books and eBooks. Crafting pioneering prototypes and documents for many online and print publication tasks. Precise text and layouts creation for newsletters and magazines, books, comics, journals, dictionaries, and directories. Corporate eBooks, leaflets and menus creation in harmony with the EPUB3 standard for a well-formatted and aesthetically attractive layout on hand-held device. We have trained and talented team to handle different software applications including Interleaf/Quicksilver, CorelDraw, Adobe InDesign, Photoshop, PageMaker, FrameMaker, QuarkXPress, and Illustrator. Our tailored and loyal services provide a complete suite of solutions for magazines, newspaper, online authors, e-commerce retailers, print media, business organizations and advertisement agencies. Advantages in working with WIV includes, safeguarding the brand identity by preserving the original look and feel of the documents, also having culturally-correct content, images and colors. WIV has a stubborn attitude towards protection of the information; we firmly abide by the global data security yardsticks. We have a healthy infrastructure equipped with advanced technologies; we focus in fast delivery of quality services in record time and at competitive rates. We are well versed in separating art (language) from science (format) and then bind them together impeccably and proficiently letting your words to be expressive and presentable in all languages used. 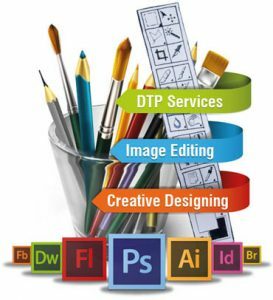 Contact us right now to get more insight about our DTP services.We would love to know about your exceptional DTP challenges and guide you whether our services would be a good fit for your explicit needs.